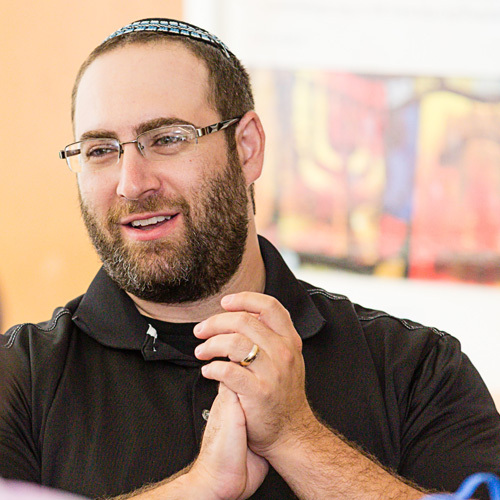 Currently growing the Modern Orthodox community of Cincinnati as the Director of Community Engagement and Development for MOve2CINCY, Rabbi Drew Kaplan is a knowledgeable Jewish communal leader as well as an experienced Jewish educator. Having served for over six years as the rabbi for both Southern California Jewish Student Services (SoCalJSS) and more than two years as the rabbi for Southern California Jewish Young Adult Enrichment, Rabbi Drew also he served as the resident rabbi for Beach Hillel, through his work with SoCalJSS. His experience also includes serving for two summers as a Judaic Educator at BBYO’s International Leadership Training Conference. In 2011-2012, Rabbi Drew was a participant in Clal’s Rabbis Without Borders Fellowship and, in the summer of 2006, he was a participant in the Center for Modern Torah Leadership’s Summer Beit Midrash. He is a member of the International Rabbinic Fellowship. His 2017 book, Talmudic Musings: 50 Essays on Talmudic Terms, Ideas, and More, was published by Hadassa Word Press. Drew received his BA in Jewish Studies from Indiana University in December 2003 and was ordained by YCT in 2009. Married for nearly a decade to his wife, Rachel (sister of fellow alumnus, Rabbi Adam Scheier), he is a proud father to his son and three daughters. Rabbi Drew on Facebook, Twitter, Instagram, and LinkedIn.